Note: The information related to the Amazon Business American Express Card has been collected by fitsmallbusiness.com and has not been reviewed or provided by the issuer of this card. The Amazon Business American Express Card is best for business owners who make purchases at Amazon-owned companies and are not Amazon Prime members. Cardholders earn 3% back or 60-day free financing on United States purchases at Amazon and Whole Foods Market, among many other Amazon businesses. The ongoing annual percentage rate (APR) starts at 16.49%. The best small business credit cards provide up to 5% back and offer introductory bonuses up to $1,000. The Amazon Business American Express Card rewards are lacking as it only offers 3% back and a $100 gift card upon approval. Business owners would be better off opening an Amazon Prime account to access 5% back and a $125 gift card. We give this American Express business credit card 3.5 stars out of 5 stars. 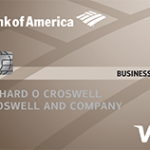 The Amazon Business American Express Card gives cardholders the option between 3% back or 60-day free financing on purchases made at Amazon-owned businesses like Amazon Business, Amazon Web Services (AWS), Amazon.com and Whole Foods Market. If you don’t choose the no-interest financing, your APR will range between 16.49% and 24.49%. This card has no annual fee and, upon approval, you’ll receive a $100 Amazon gift card. In comparison to the best cards for Amazon purchases, this American Express business credit card provides near the best rewards for non-Amazon prime members. Instead, business owners can unlock 5% back by opening an Amazon Prime account and applying for the Amazon Business Prime American Express Card. When grading points rewards business credit cards like the Amazon Business American Express Card, we weight ongoing and introductory rewards heaviest. We also consider the annual fee, introductory and ongoing APRs, and card features. This Amazon business credit card offers introductory rewards and APRs that don’t match what competitors offer. Based on our five-star rating system where 20 points equals one star, the Amazon Business American Express Card would need to improve its introductory rewards or offer a no-interest introductory period to move up from 3.5 stars to 4 stars. In cases where cards receive perfect scores in most categories, we may award bonus points to boost the card’s rating. This American Express business credit card falls just below being a top card for Amazon-related purchases. If you frequently shop at Amazon-owned businesses, consider opening an Amazon Prime account and applying for the Amazon Business Prime American Express Card. It offers 5% back and 90-day free financing terms. The Amazon Business American Express Card is right for business owners who are not Amazon Prime members and frequently shop at Amazon-owned businesses. Cardholders can earn rewards or free financing terms on U.S. purchases at Amazon, Whole Foods Market, Amazon Business, and AWS. Most small business credit cards can’t match these offers on Amazon-related spending. If you already have an Amazon Prime account, a good card option is the Amazon Business Prime American Express Card. You can unlock 5% back rewards or 90-day free financing terms at Amazon-owned companies. The Amazon Business American Express Card doesn’t offer an introductory no-interest period. However, users can opt-in for 60-day free financing on purchases from Amazon businesses. If you don’t opt-in for free financing, an ongoing APR between 16.49% and 24.49% will apply. There is no annual fee to own this Amazon business credit card. There are some cash back business credit cards that offer extended no-interest periods up to 15 months. The Chase Ink Business UnlimitedSM, for example, has 0% APR for the first 12 months on purchases. It also has a lower ongoing APR compared to this Amazon business credit card, which is between 15.49% and 21.49%. This American Express business credit card offers an opt-in 60-day free financing feature for purchases at Amazon-owned businesses. If you make an eligible purchase and you select the payment terms option instead of rewards, your payment will be due no less than 60 days from the purchase date. You can unlock 90-day terms by opening an Amazon Prime account and applying for the Amazon Business Prime American Express Card. To avoid paying interest on the Amazon Business American Express Card, you’re required to pay your entire standard balance by your due date. Your due date is at least 25 days after the credit card bill was issued. The potential due date could be longer than other cards, like the Chase Ink Business UnlimitedSM, which has a due date at least 20 days after the close of the billing cycle. The Amazon Business American Express Card offers rewards on all spending or 60-day free financing for purchases made at Amazon businesses. In addition, this American Express business credit card also offers a $100 Amazon gift card upon approval. As an introductory reward with the Amazon Business American Express Card, you will earn a $100 Amazon gift card upon approval. Most credit cards for Amazon-related purchases with no annual fee generally don’t offer the best introductory rewards. 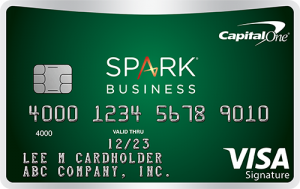 If you’re looking for a more substantial introductory offer, you’ll need to consider a card with an annual fee, such as the Capital One® Spark® Cash for Business card. The Capital One® Spark® Cash for Business card offers up to $500 when you spend $4,500 within the first three months. User will have the option to earn 3% back or opt-in for 60-day terms with no interest. In comparison, the American Express Blue BusinessSM Plus credit card offers 2x points on everyday business purchases up to $50,000 with no category restrictions. Reward restrictions are similar among most cash back business credit cards. For example, the Chase Ink Business UnlimitedSM restricts the same items in addition to balance transfers, gambling transactions, foreign currency, money orders, or wire transfers. Amazon rewards are tracked as points vs cash back and each 100 points earns is worth $1. You can redeem your Amazon rewards points for eligible purchases at Amazon.com or towards a charge on your credit card statement. Your points don’t expire as long as your account remains open. However, you may forfeit points if your account status changes or if you default on a payment. 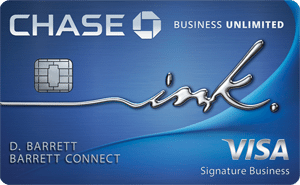 In comparison, the Chase Ink Business UnlimitedSM allows you to redeem your points for cash back, gift cards, and travel through their online portal. Redemption value for each option is one cent per points. When redeeming for cash, you can receive a statement credit or a direct deposit into an eligible checking or savings account. The Amazon Business American Express Card gives users access to unbeatable additional features and benefits. These perks are free and include road assistance hotline, extended warranty, return and purchase protection, car rental coverage, baggage insurance, and Amazon Business enhanced data views. The Amazon Business American Express Card provides cardholders with a 24-hour dispatch hotline that can help you get basic emergency roadside services. Although the hotline has no additional charge, cardholders will be charged for any services or goods provided. These roadside services include towing, winching, jump starts, gas delivery, locksmith services, and changing of a flat tire. Some premium American Express business credit cards will cover the cost of these roadside services. For example, the American Express Business Platinum Card® offers Premium Roadside Assistance, which provides these services up to four times per year at no additional cost. These exclusions are similar amongst all American Express business credit cards. The American Express Business Platinum Card® excludes the same vehicles from its roadside assistance. The Amazon Business American Express Card provides purchase protection if your purchased items are damaged or stolen within 120 days from the purchase date, which is only 90 days for New York residents. American Express purchase protection covers up to $1,000 for any one item and up to $50,000 for all items in one year. The Amazon Business American Express Card protects purchased items that were damaged or stolen within 120 days of the purchase date. Some of the best small business credit cards offer similar coverage, as long as you purchased an item entirely on your active card. For example, the Chase Ink Business UnlimitedSM, provides coverage on items that were damaged, stolen, or if an item’s location is known, but it can’t be recovered. Small business credit cards that offer purchase protection generally limit coverage to 90 or 120 days from the date of purchase. For example, the Capital One® Spark® Cash for Business business card replace, repair, or reimburse eligible items within 90 days of purchase. Coverage exclusions are similar across small business credit cards. The Amazon Business American Express Card offers return protection if a store won’t accept a return within 90 days from the purchase date. American Express may refund the full purchase price up to $300 per item and up to a maximum of $1,000 per year. American Express will only cover purchased items if they’re in their original condition, the original store won’t accept the return, and it’s within 90 days from the purchase date. However, not all small business credit cards cover returns. The Chase Ink Business UnlimitedSM, for example, does not protect purchased items that can’t be returned to the original store. For those small business credit cards that do offer return protection, exclusions are typically similar. However, not all credit cards come with return protection. For example, both the American Express Blue BusinessSM Plus and Capital One® Spark® Cash for Business don’t offer return coverages. American Express offers one of the best extended warranty protection plans among small business credit cards. If a purchased item has a manufacturer’s warranty that’s five years or less, America Express will provide an extended warranty or up to $10,000 per claim and $50,000 per account. American Express will match the item’s warranty if it’s less than two years long or provide an additional two years if it’s between two and five years. The extended warranty protection plan that comes with the Amazon Business Card from American Express only covers eligible items with an original manufacturer’s warranty of five years or less. Other small business credit cards offer less coverage like the Capital One® Spark® Cash for Business, which doubles the original warranty up to one year on warranties of three years or less. This American Express business credit card offers one of the best extended warranty protection plans when compared to other small business credit cards. For example, the Chase Ink Business UnlimitedSM offers an additional year if the original warranty is less than three years. Exclusions here are common across most small business credit cards. American Express will provide up to $100,000 in travel accident coverage if you charge an entire trip on your Amazon Business American Express Card. Travel accident insurances will insure the loss of life, limb, hearing, or eyesight within 100 days after the date of the accident which caused the injury. By using your Amazon Business American Express Card, you will have coverage if you die or lose a limb, sight, speech, or hearing in relation to any travel fares that were paid entirely on your card. When comparing this coverage to other American Express business credit cards, the American Express Blue BusinessSM Plus credit card provides identical travel accident insurance up to $100,000. Other competitors don’t offer this coverage. Travel accident insurance isn’t a guaranteed additional perk on all small business credit cards. For example, both the Capital One® Spark® Cash for Business and Chase Ink Business UnlimitedSM don’t provide cardholders with this type of coverage. Exclusions here are common among cards that come with travel accident insurance. The Amazon Business American Express Card provides baggage insurance for any lost bags while in transit, including carry-on baggage, checked baggage, and certain high-risk items. This coverage ranges between $250 and $1,250, depending on the loss. High-risk items include, but are not limited to jewelry, sporting equipment, electronic equipment, and furs or articles made mostly with fur. 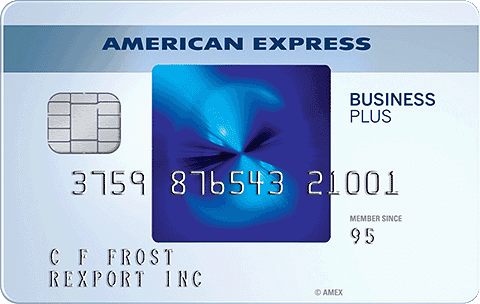 The American Express Blue BusinessSM Plus credit card provides identical coverage. Some competitors don’t offer a baggage insurance plan, such as the Chase Ink Business UnlimitedSM. There are some premium small business credit cards that offer more coverage. The American Express Business Platinum Card® offers coverage up to $3,000. However, exclusions here are common among small business credit cards. By using the Amazon Business American Express Card, American Express will cover up to $50,000 per car rental agreement for the first 30 consecutive days of a car rental. The car rental loss and damage insurance covers both damage and theft of a rental vehicle during the rental period. In comparison, the Chase Ink Business UnlimitedSM provides an auto rental collision damage waiver that covers damage from collision or theft. Additionally, Chase also covers eligible towing charges and loss-of-use charges incurred by the rental company. Most exclusions here are common across small business credit cards. Although, some cards offer more coverage. For example, the Chase Ink Business UnlimitedSM may reimburse you up to the cash value of the car compared to the $50,000 monetary cap on this American Express business credit card. Amazon Business American Express Card users will have the ability to call a global assistance hotline if they travel further than 100 miles from home. Cardholders can use the global assist hotline for assistance and coordination services hen unexpected situations come up during a trip. You can call the hotline at no additional cost, but any charges by a third-party service are your responsibility. Global assist hotline is provided across all American Express business credit cards, like the American Express Business BlueSM credit card. However, not all small business credit cards have a global assist hotline, such as the Capital One® Spark® Cash for Business card. The Chase Ink Business UnlimitedSM offers something similar. However, it does not provide as many services. By using the Amazon Business American Express Card, cardholders will have access to several different American Express account management tools. American Express provides a mobile device app to pay your bills and desktop programs to manage your employee cards. Cardholders can also connect their American Express account with QuickBooks to upload their transaction history automatically. Most small business credit cards offer some type of account management tool. For example, the Capital One® Spark® Cash for Business card provides itemized quarterly and yearly statements. Additionally, you can download your purchase records quickly and securely to Quicken, QuickBooks, and Excel. However, American Express account management tools are far better than competitors. With the Amazon Business American Express Card, cardholders can gain enhanced insights on purchases and simplify expense reporting. With Amazon Business enhanced data views, you can see Amazon Business purchases listed item by item in an easily downloadable file from your online statement. Each time you make a purchase on your Amazon business credit card, Amazon will collect and share transaction data with American Express to help provide purchase detail on your card statement. This is a unique additional feature compared to competitors and most other American Express business credit cards. The Amazon Business Prime American Express Card is the only other American Express business credit card that provides this feature. American Express provides world-class customer support from their special brand of Relationship Care service. By calling the number on the back of your card, you can speak to a customer services member who is trained to understand the needs of small business owners. This service is provided on most American Express business credit cards, which can increase its perceived value. Adding employee cards to your Amazon Business American Express Card account is completely free. Most small business credit cards offer employee cards at no cost with the exception of a few premium American Express business credit card. Regardless, employee cards are a good option because they allow you to manage employee expenses by setting spend limits and monitoring transactions. The Amazon Business American Express Card isn’t the best business credit card option to use for the bulk of your business spending if your goal is to maximize your rewards. It only pays 1% back on purchases that aren’t from Amazon business, restaurants, gas stations, and wireless phone services. If you want to earn cash back on all spending, consider the Capital One® Spark® Cash for Business, which offers 2% cash back. The Amazon Business American Express Card is relatively new ― released in October 2018 ― even so, have already been submitting online reviews, which are mixed. Cardholders say the application process is simple and the customer service is excellent. However, there are a few complaints about the high APR, and some customers expressed disappointment at receiving low credit limits. You can apply for the Amazon Business American Express Card through Amazon’s website. You’re required to enter your basic business and personal information. Typically, you’ll receive an instant answer regarding your application. If approved, your card will arrive within seven to 10 business days. You can log in to your Amazon Business American Express Card account online. If you need additional assistance, you can contact American Express customer service through American Express or call 800-492-3344. 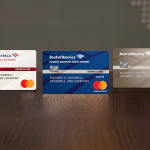 American Express offers a number of small business credit cards for all different types of business spending needs, including cash back cards and travel rewards cards. Another card might be better if you’re looking to earn rewards on purchases outside of Amazon.com. There are other small business credit cards that may offer better rewards for your business spending needs. If your business spending ranges across several spending categories like gas stations, restaurants, or office supplies, you may want to consider a different small business rewards credit card.